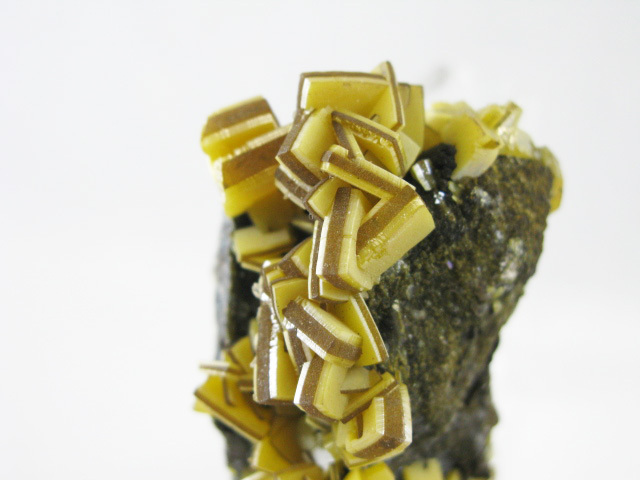 A nice example of wulfenite on a limonite matrix from the 2017 find at Mina Ojuela. 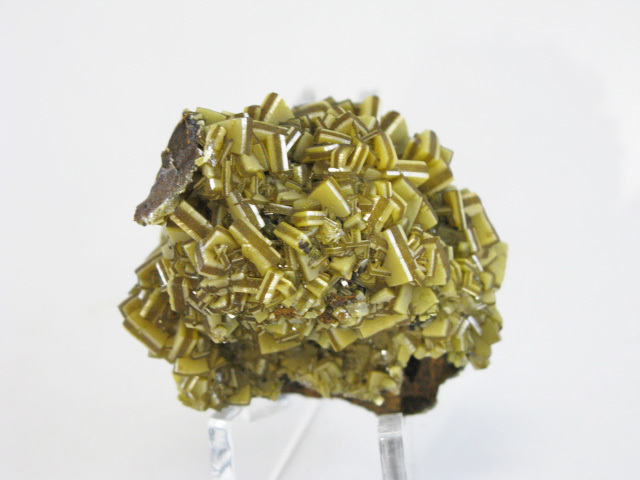 A nice example of wulfenite on a limonite matrix from the 2017 find at Mina Ojuela. 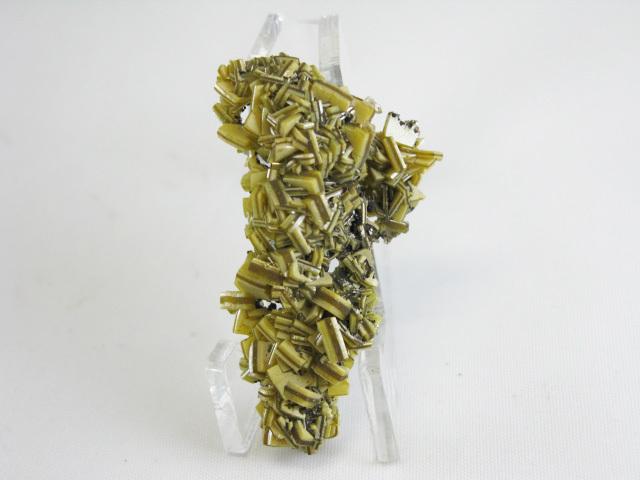 The banded appearance of the wulfenites almost makes them look a bit like the old Los Lamentos pieces. 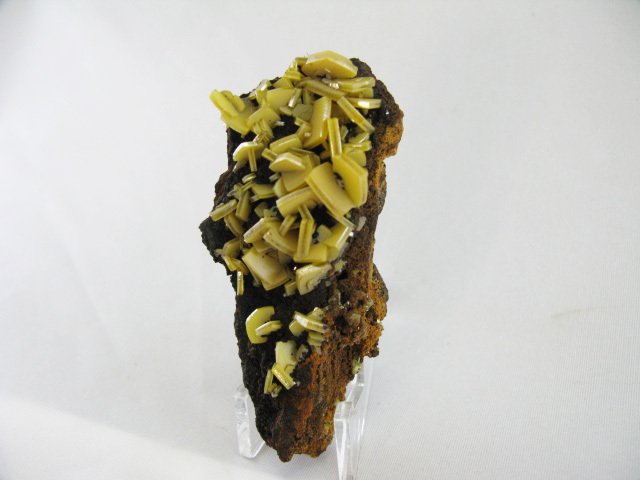 There are a couple spots of damage, but the piece is exactly as shown. 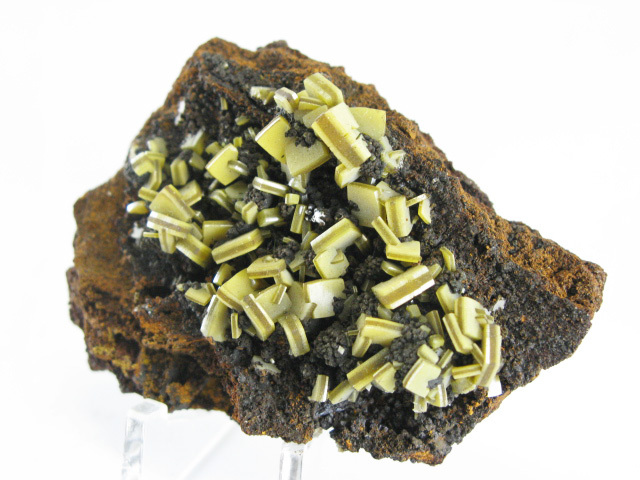 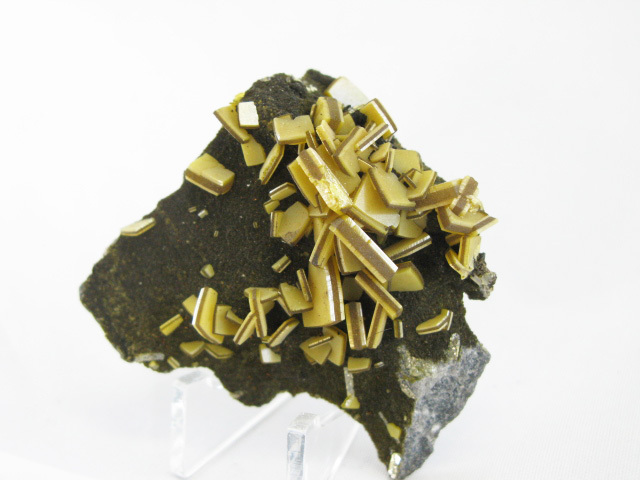 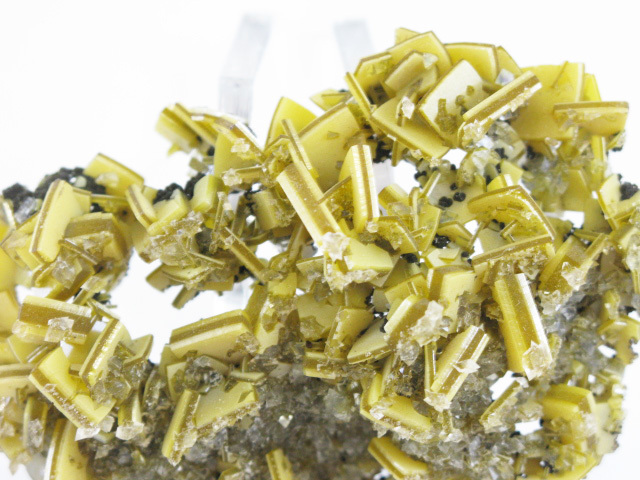 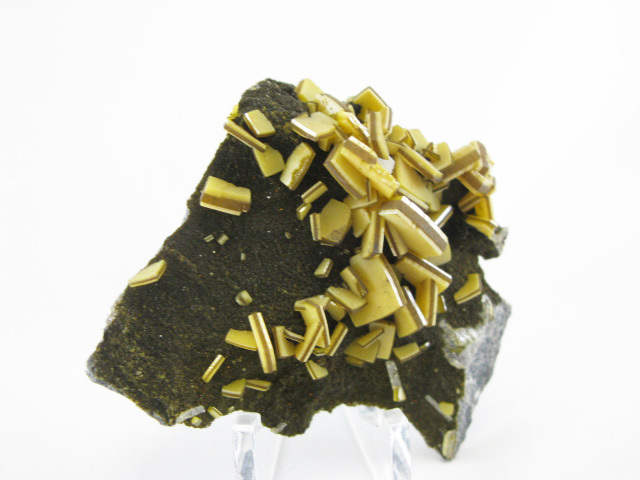 A rich example of wulfenite on a limonite matrix from the 2017 find at Mina Ojuela. 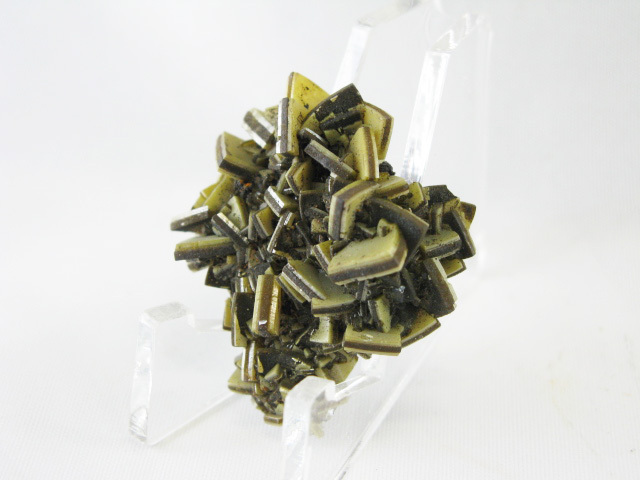 The banded appearance of the wulfenites almost makes them look a bit like the old Los Lamentos pieces. 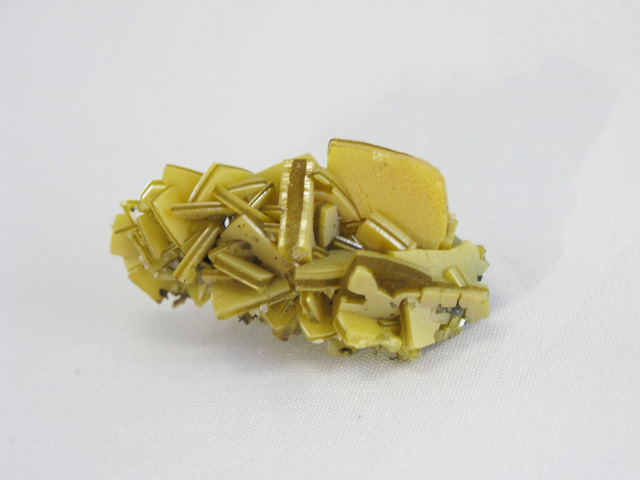 There some damage, the piece is intended more as a rich reference sample from the find. 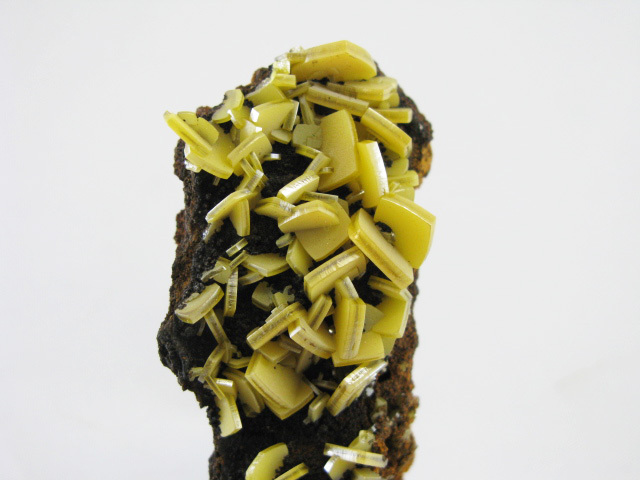 A nice example of wulfenite on a limonite matrix from the 2017 find at Mina Ojuela. 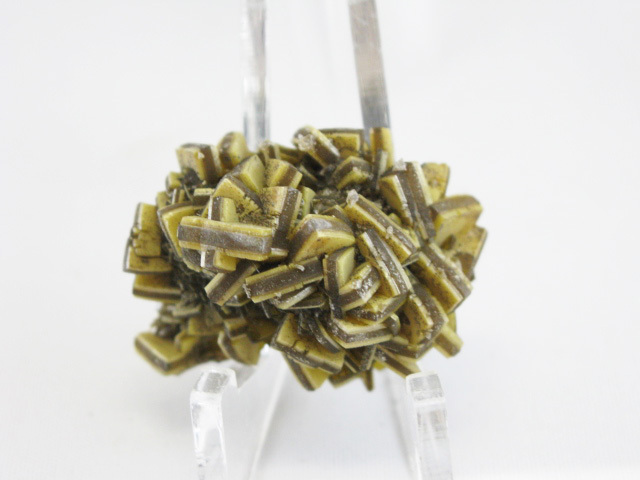 The banded appearance and blockiness of the wulfenites almost makes them look a bit like the old Los Lamentos pieces. 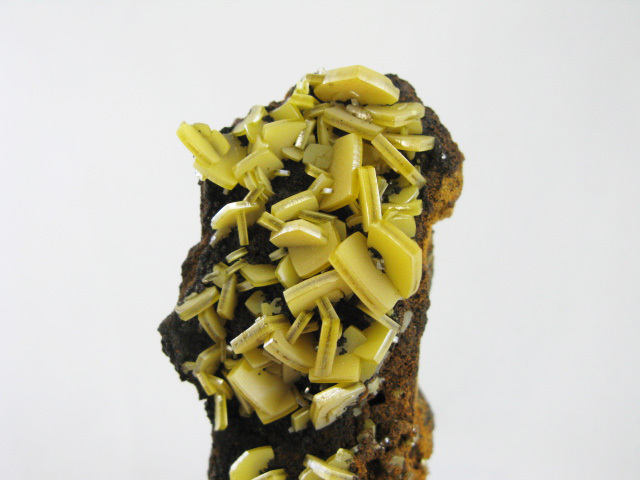 A nice example of wulfenite on a limonite matrix from the 2017 find at Mina Ojuela. 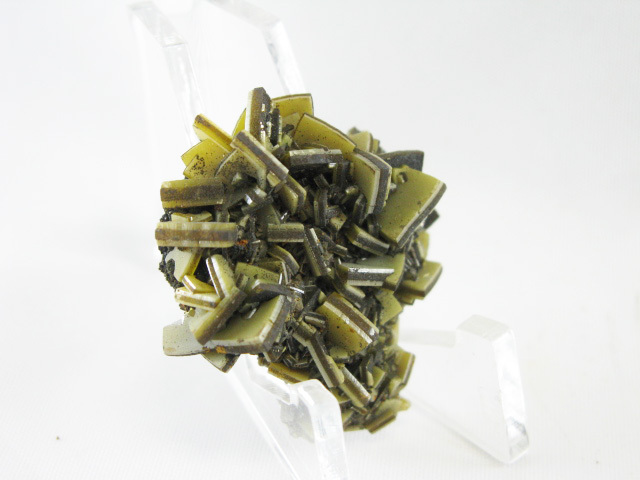 The banded appearance of the wulfenites almost makes them look a bit like the old Los Lamentos pieces. 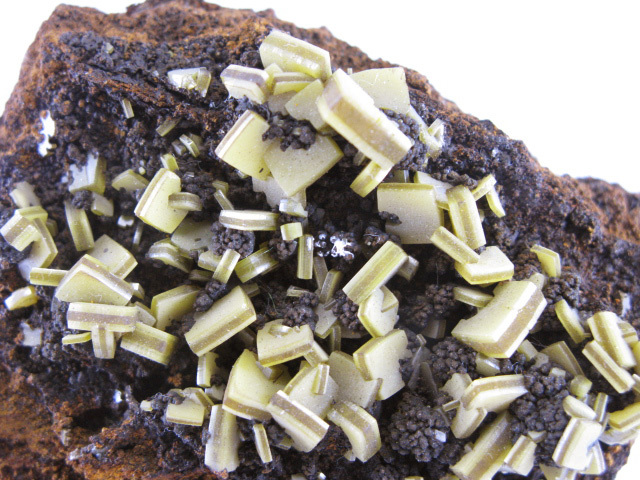 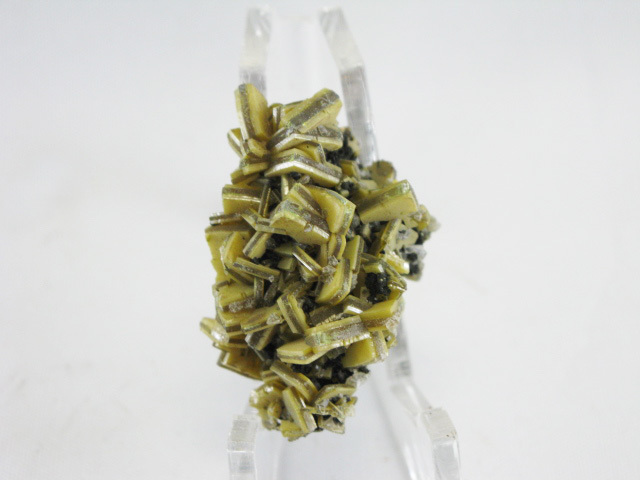 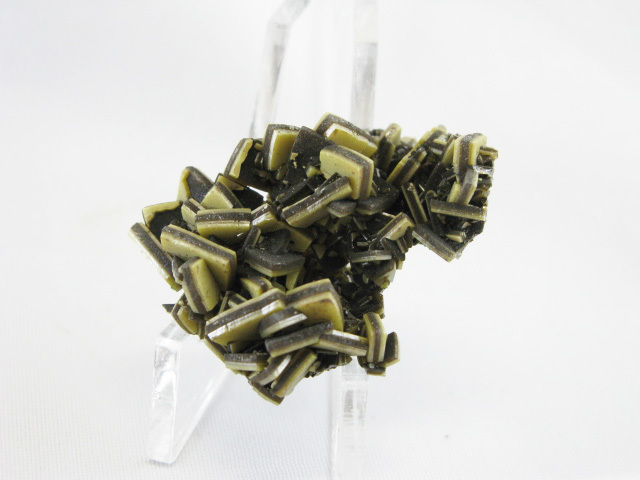 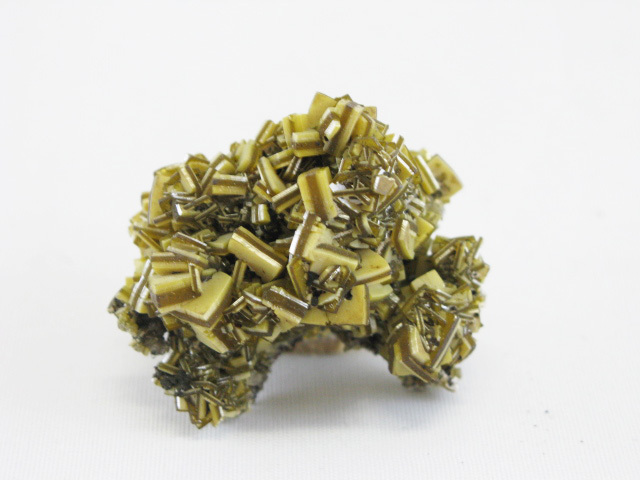 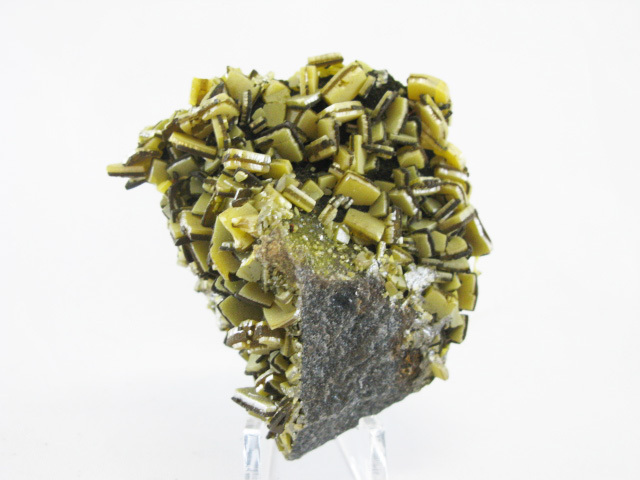 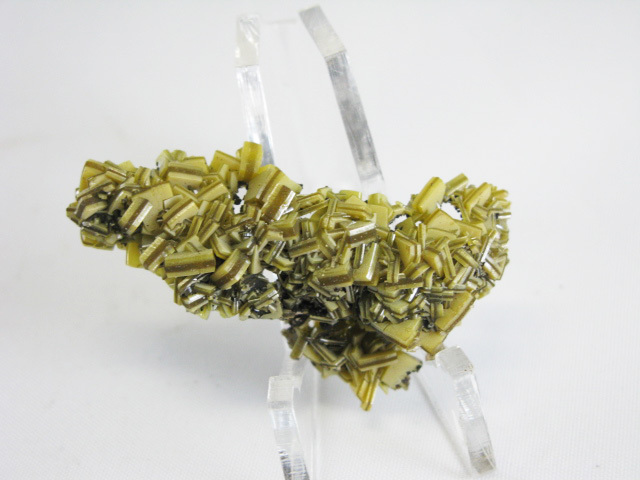 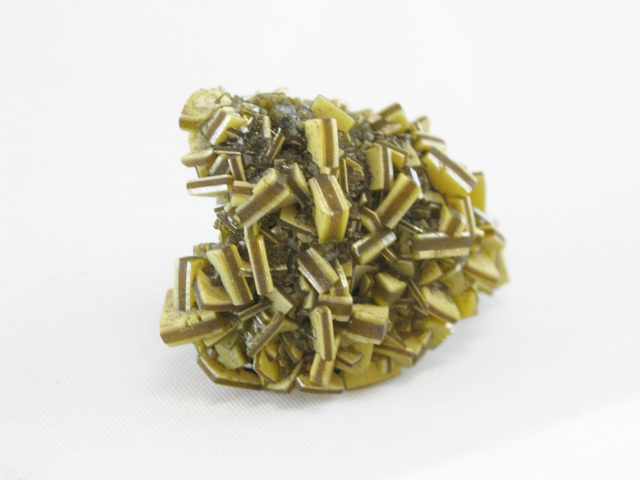 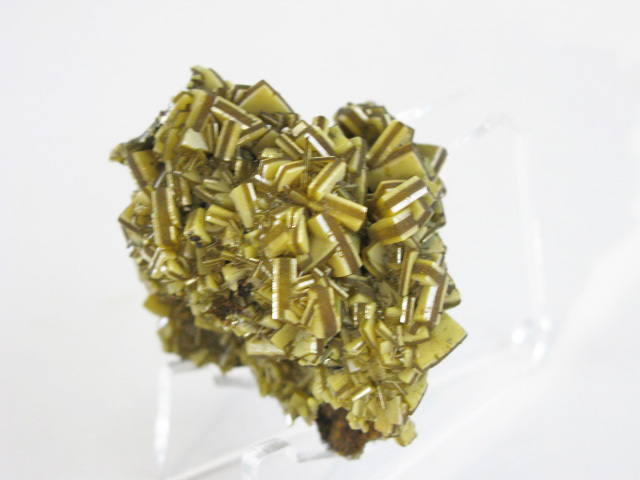 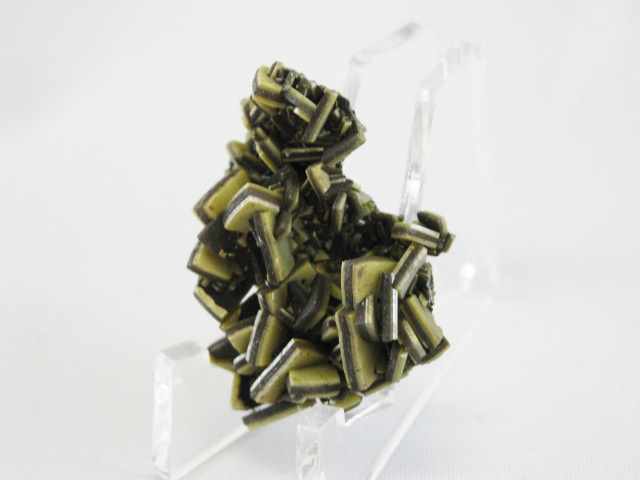 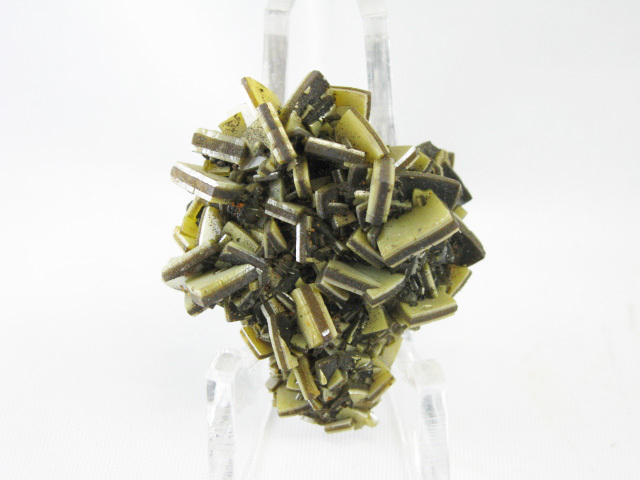 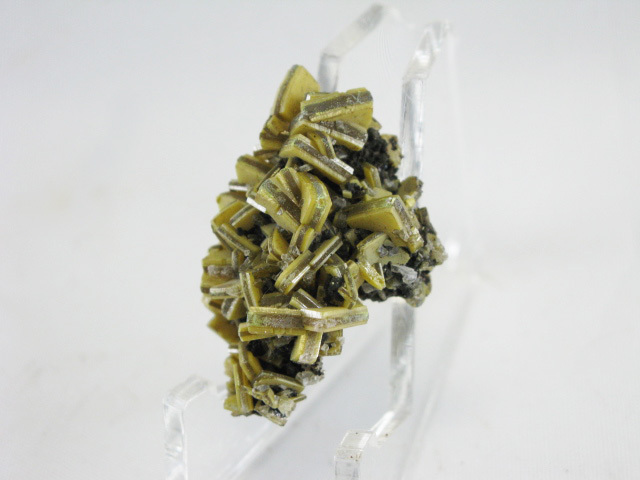 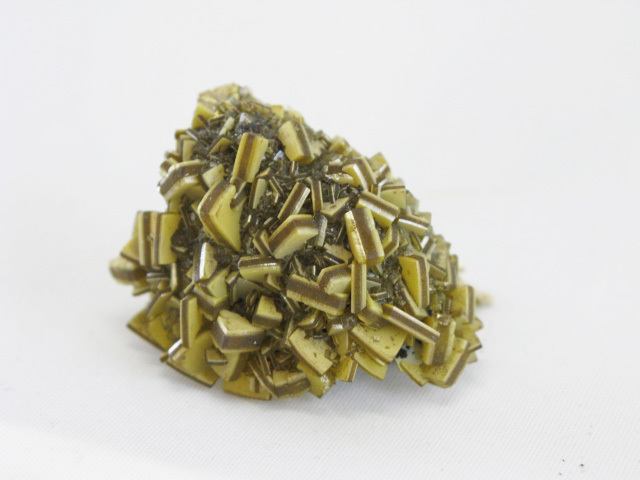 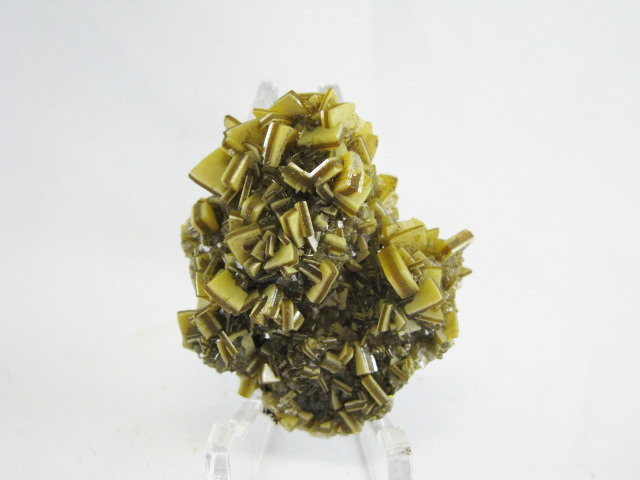 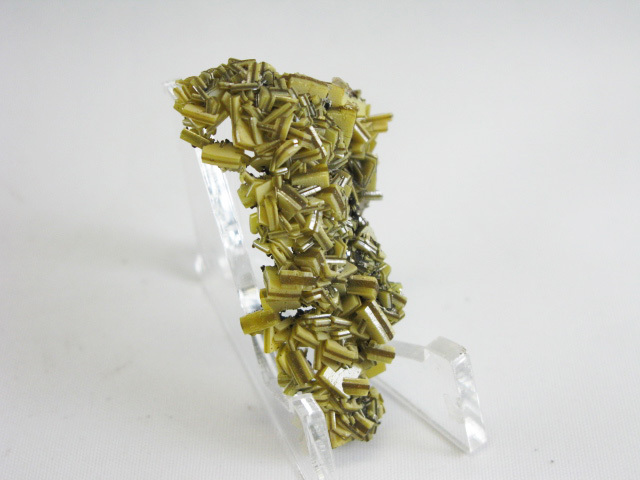 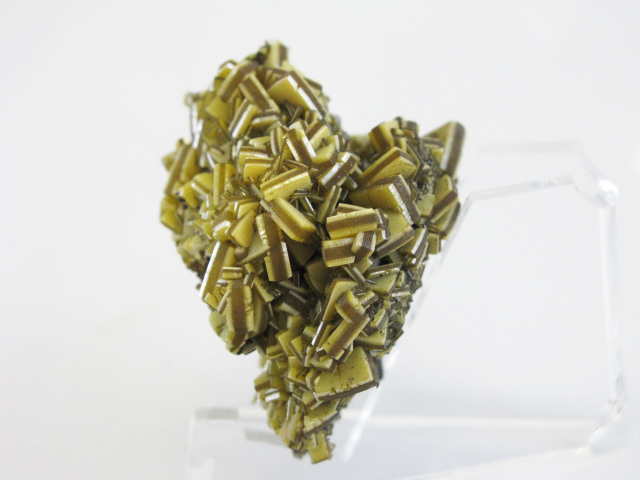 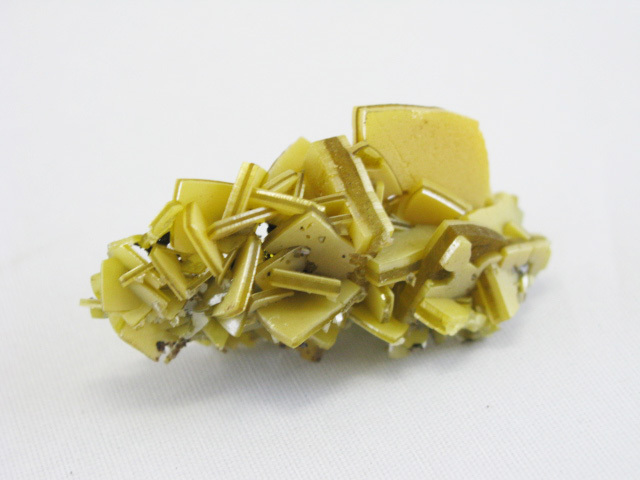 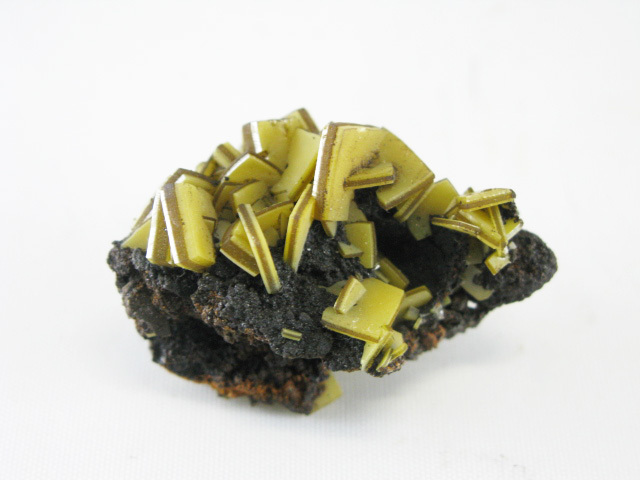 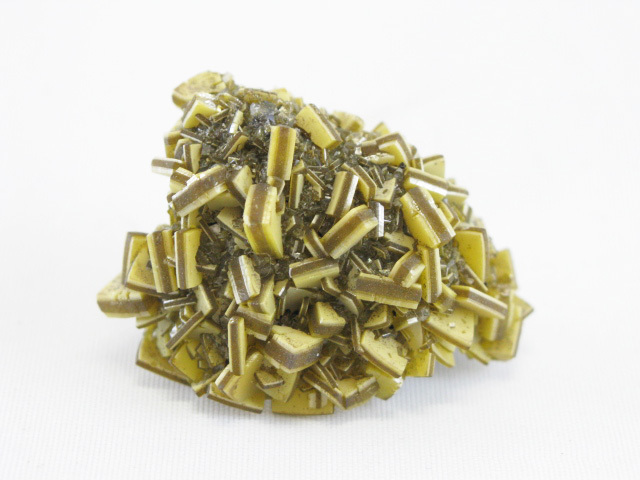 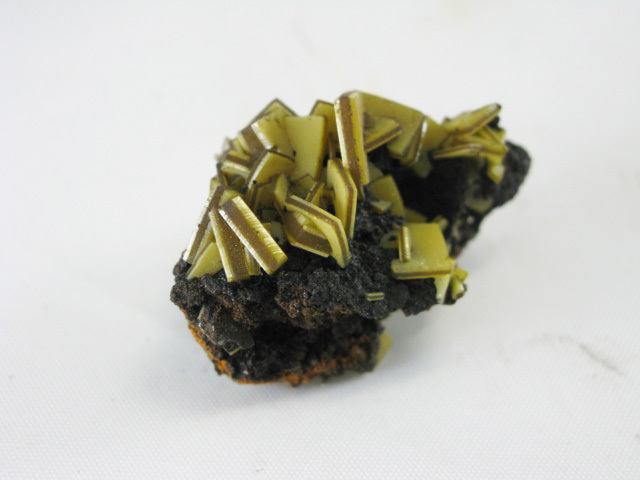 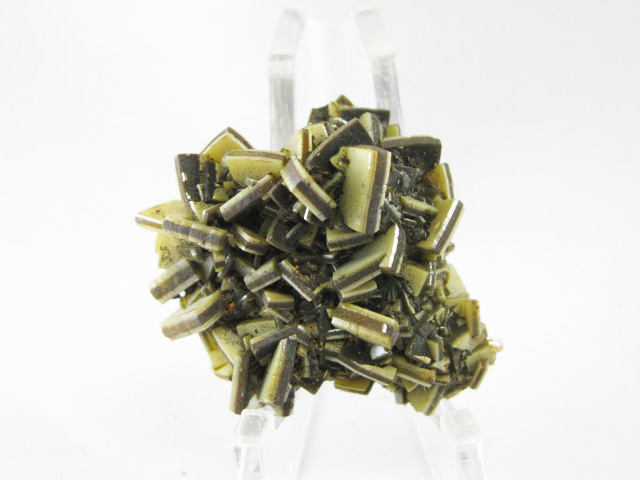 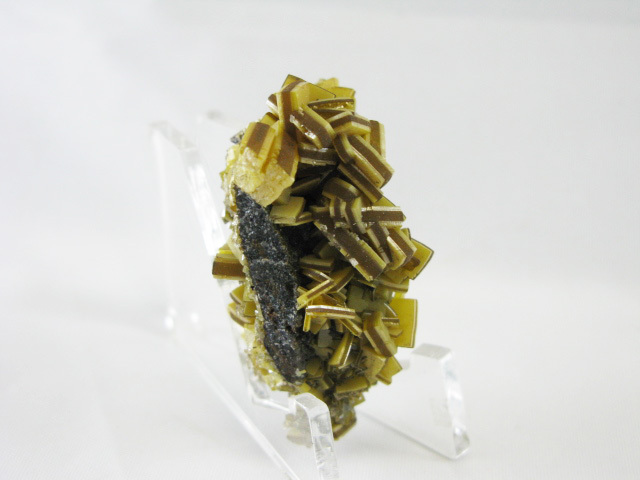 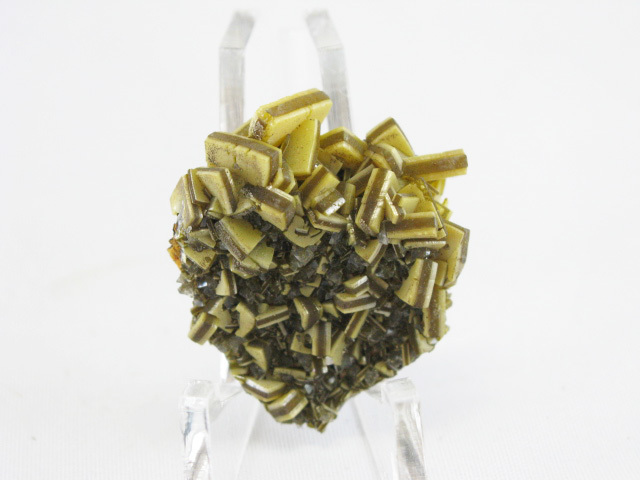 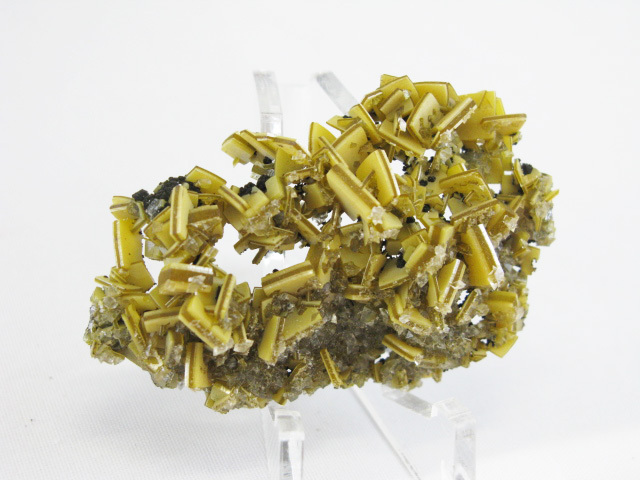 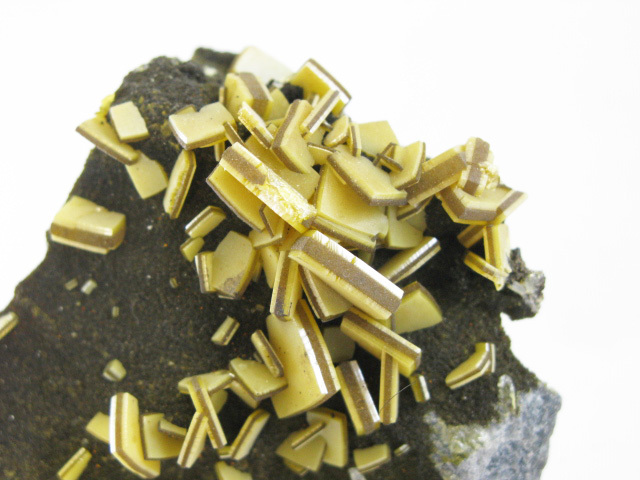 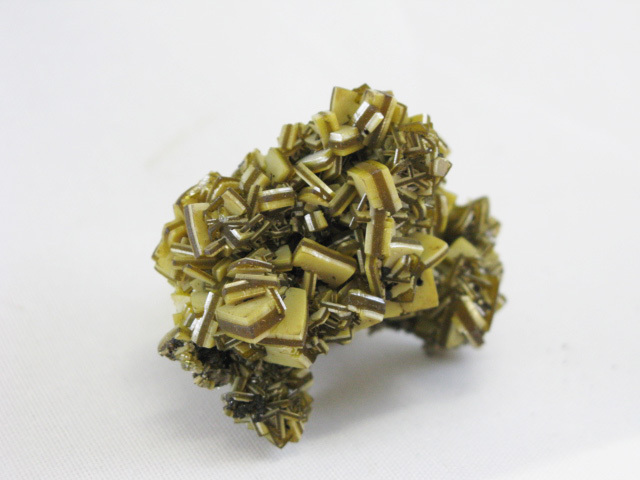 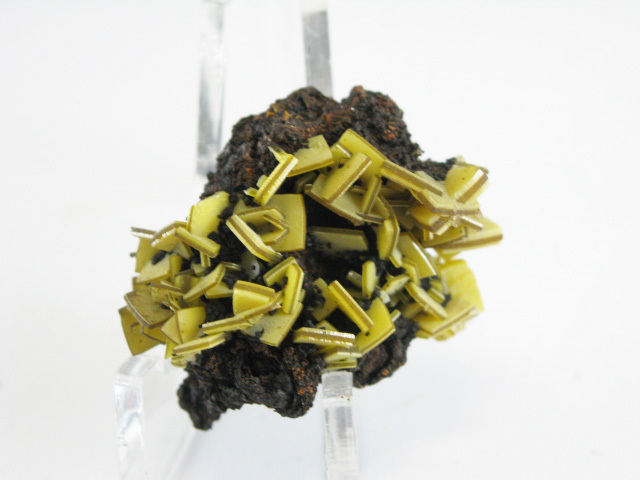 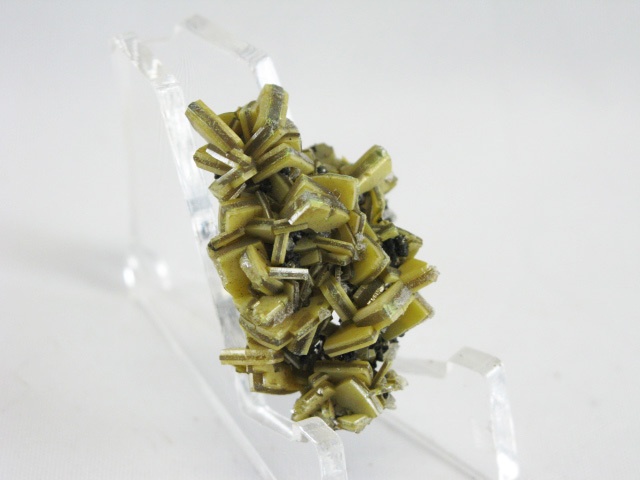 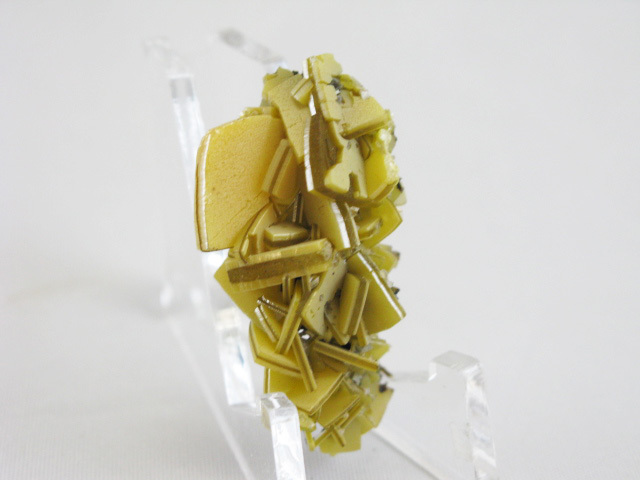 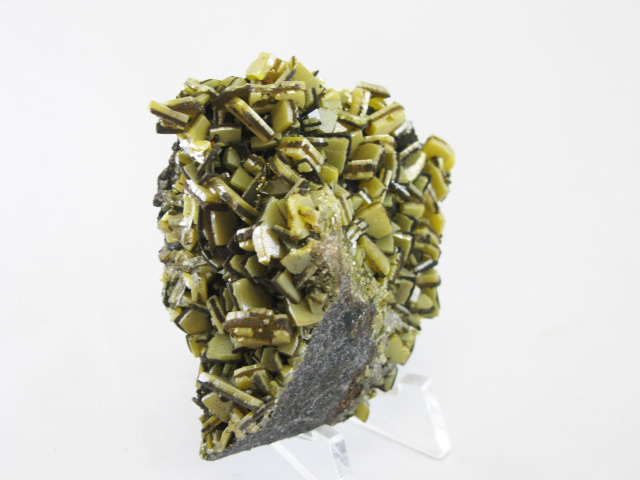 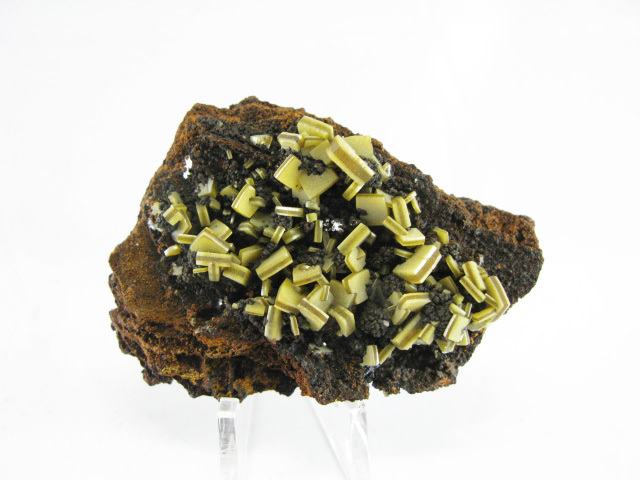 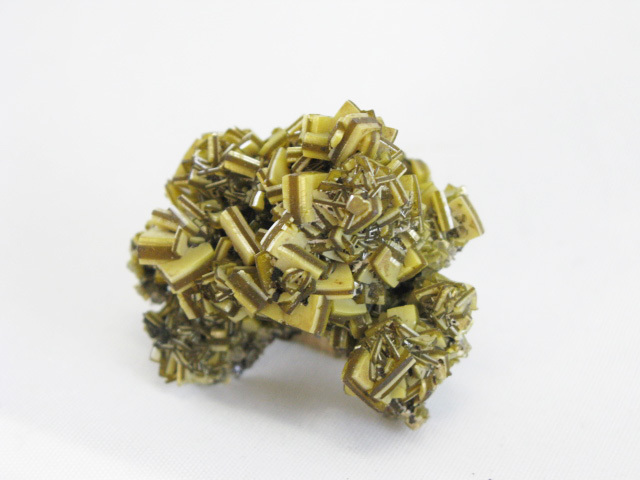 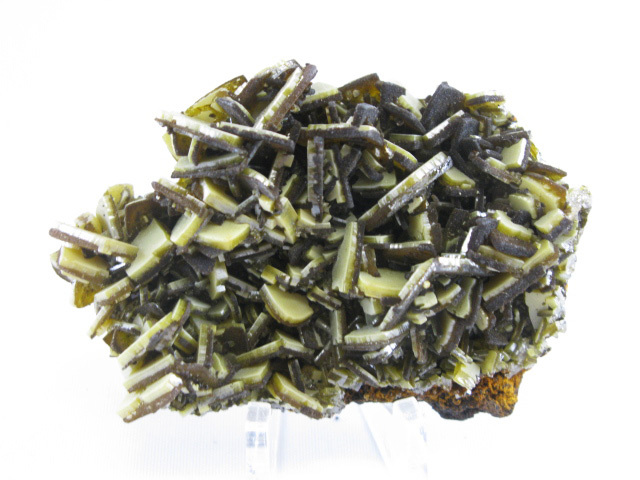 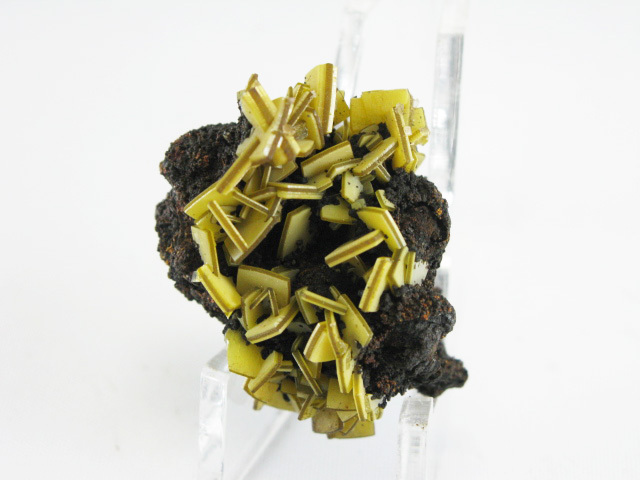 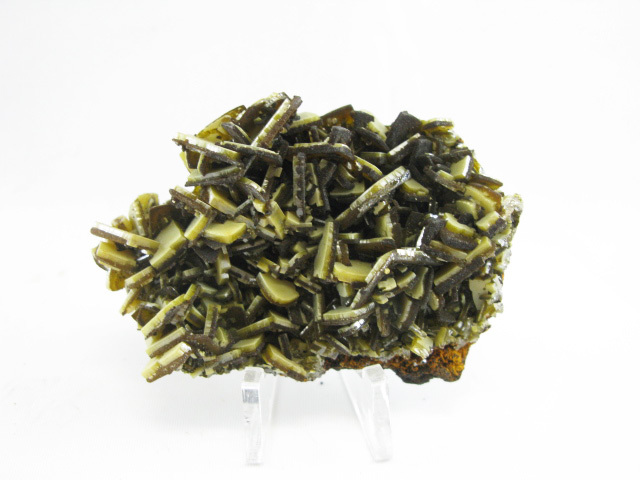 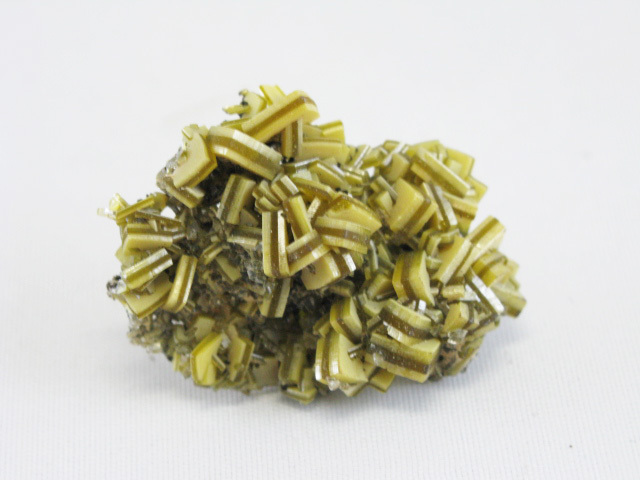 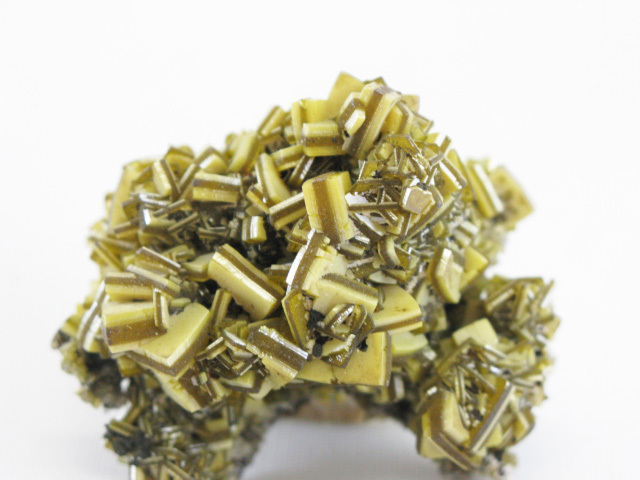 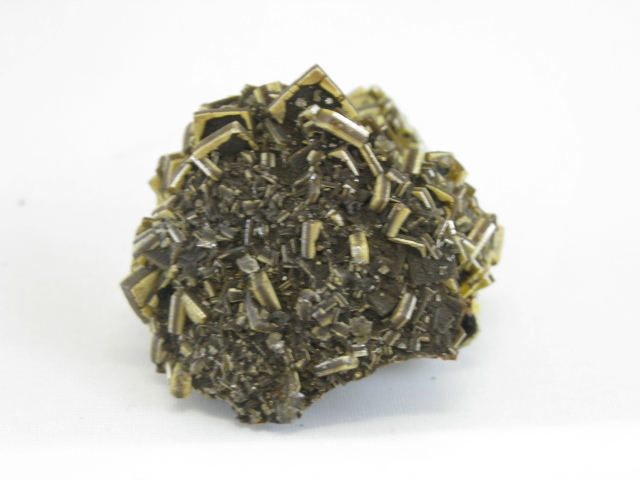 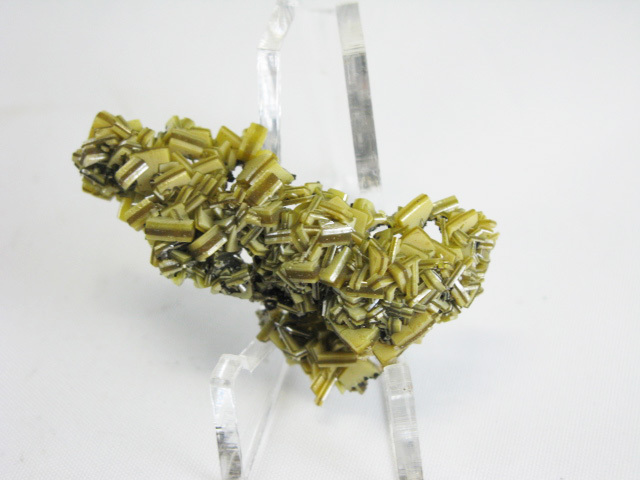 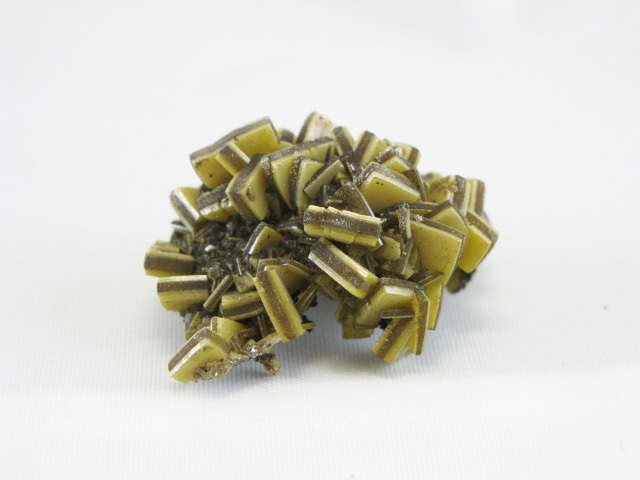 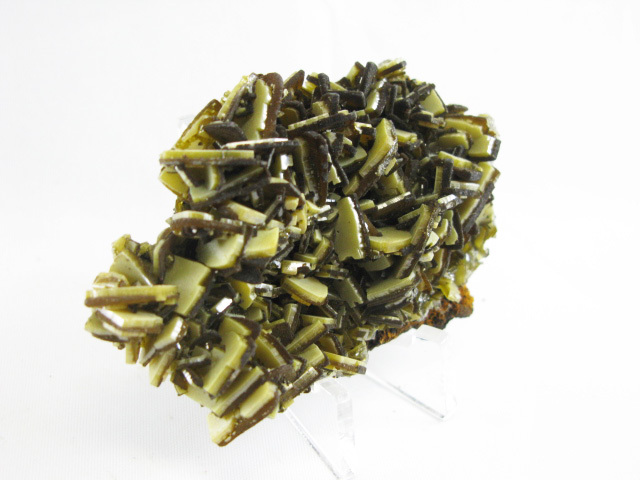 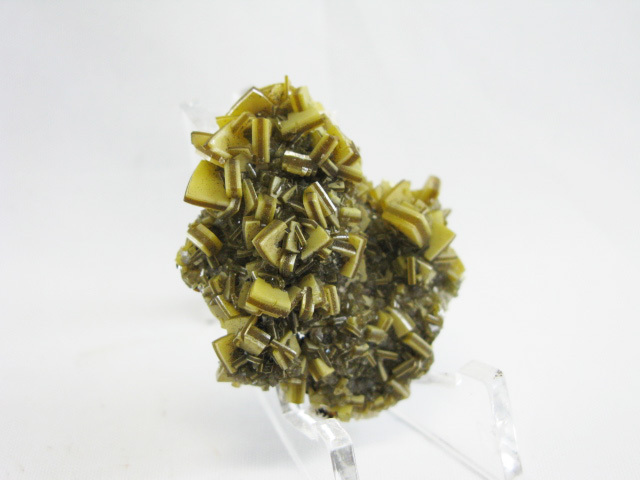 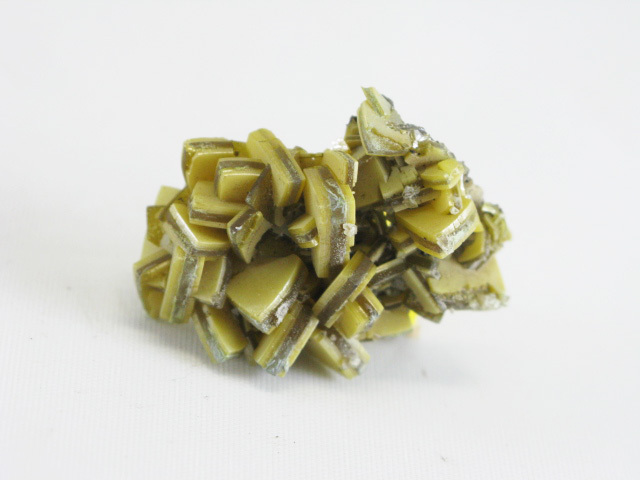 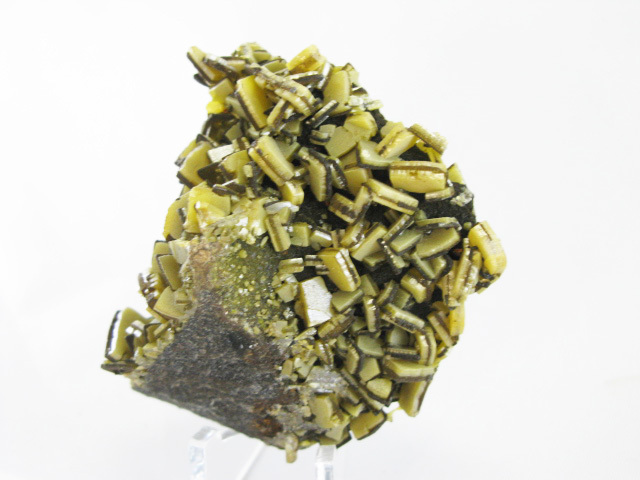 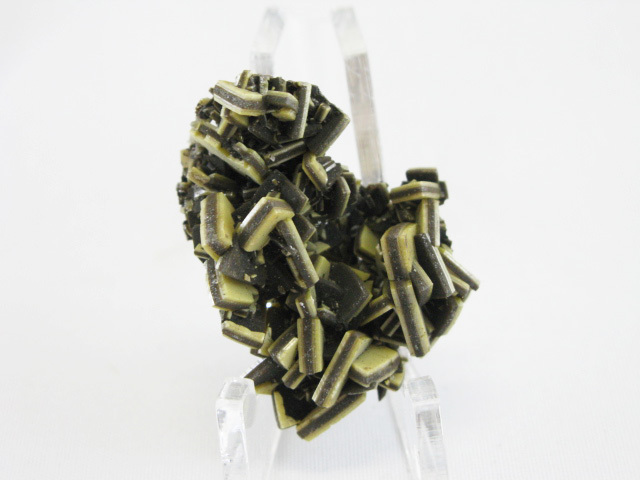 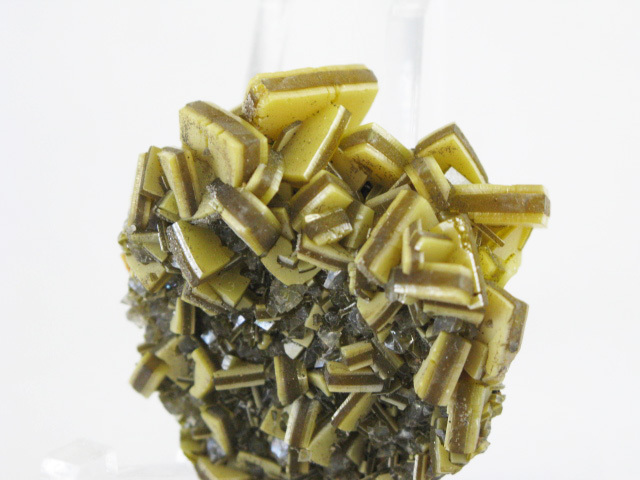 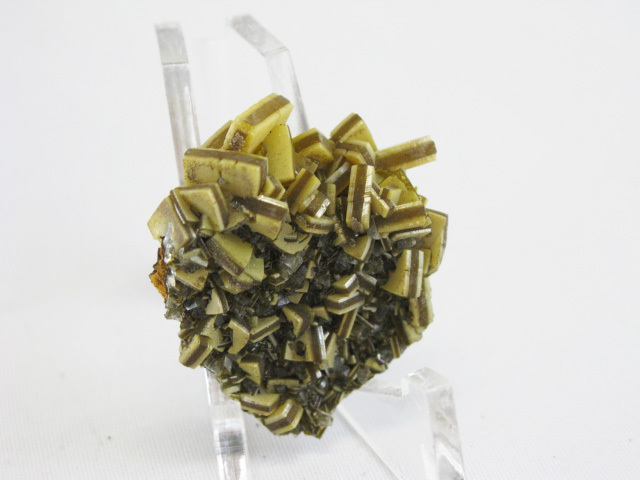 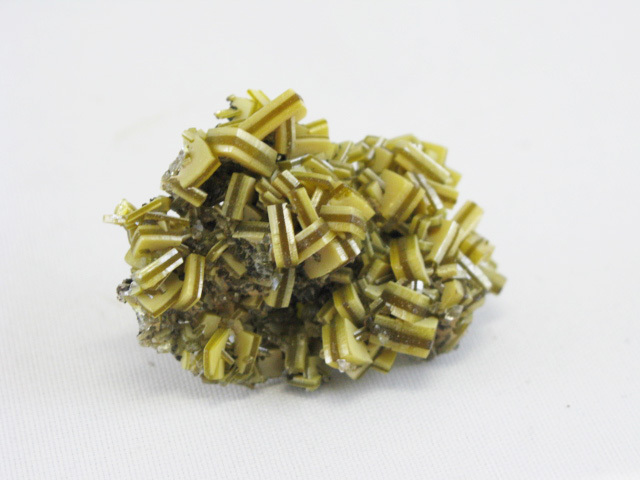 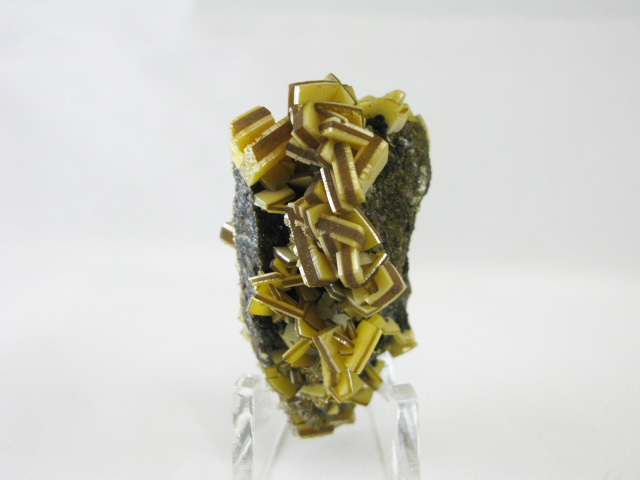 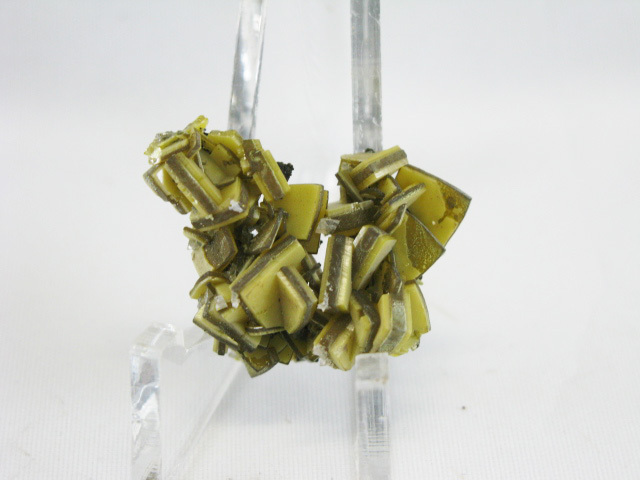 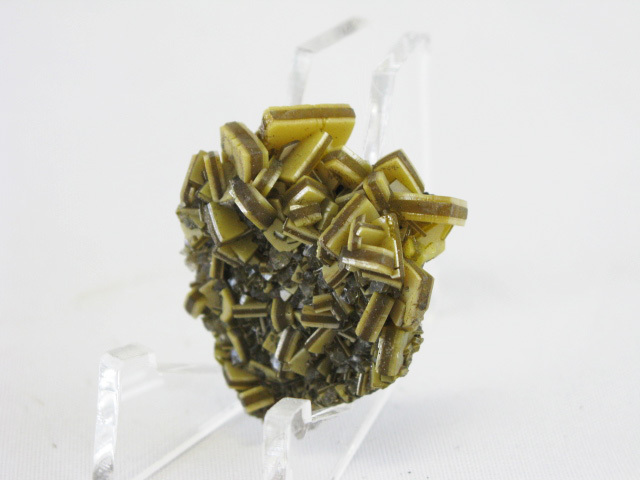 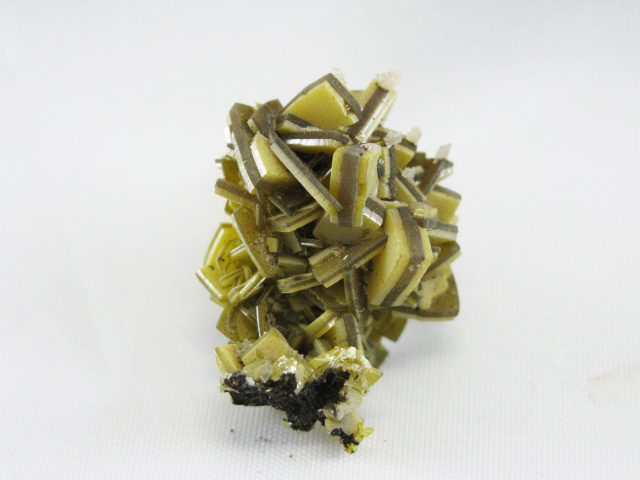 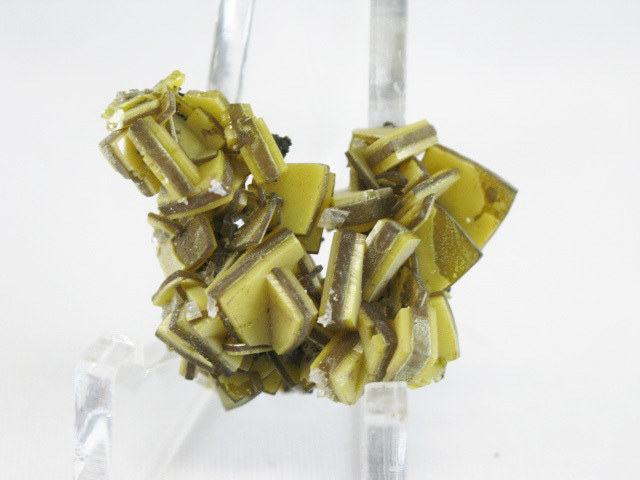 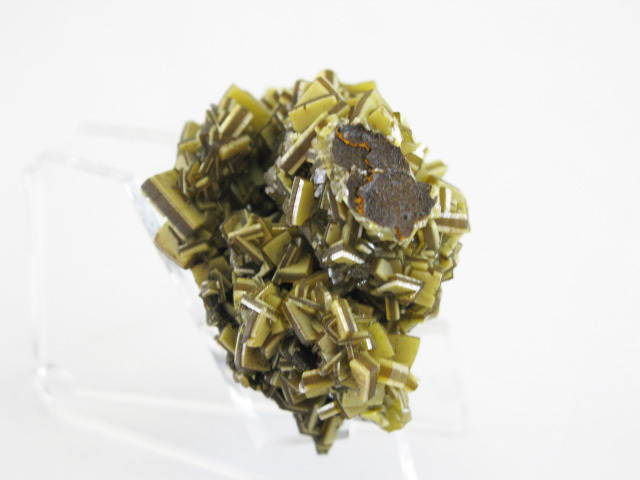 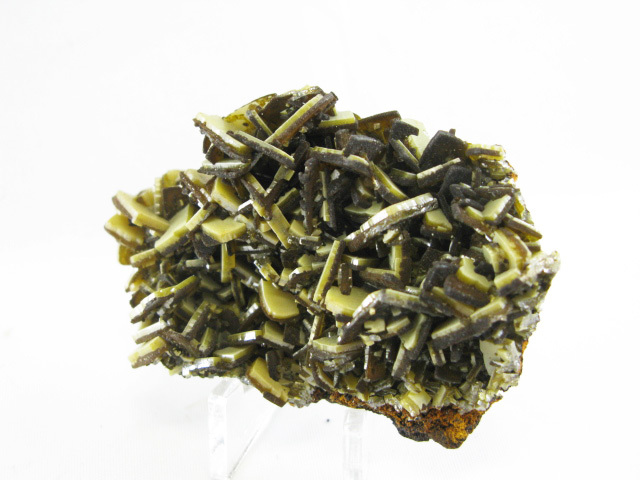 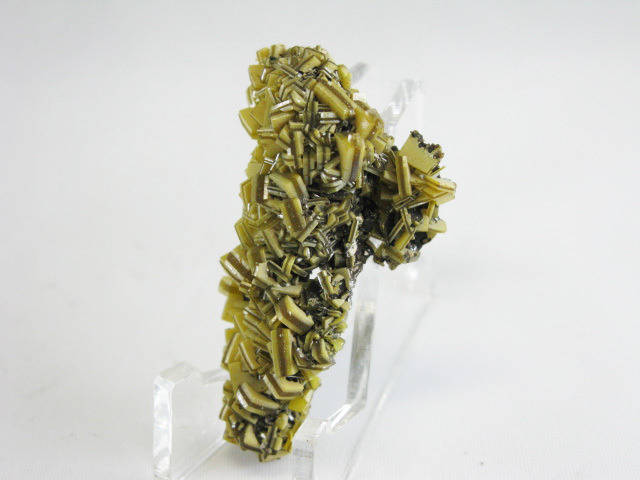 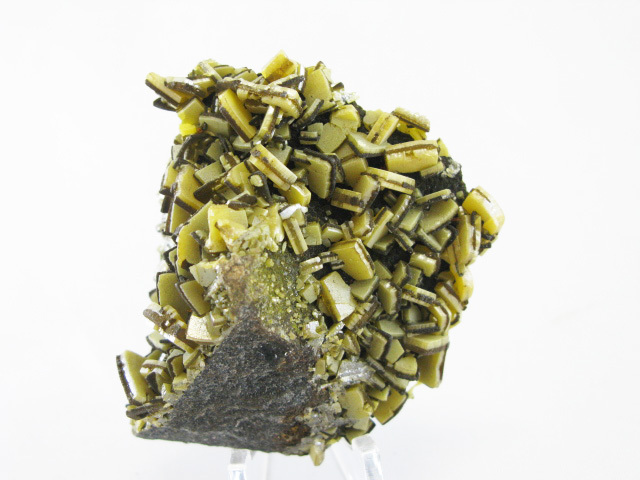 A very interesting wulfenite from this find-- it demonstrates the characteristic banded habit that this discovery is notable for, as well as being quite densely packed. 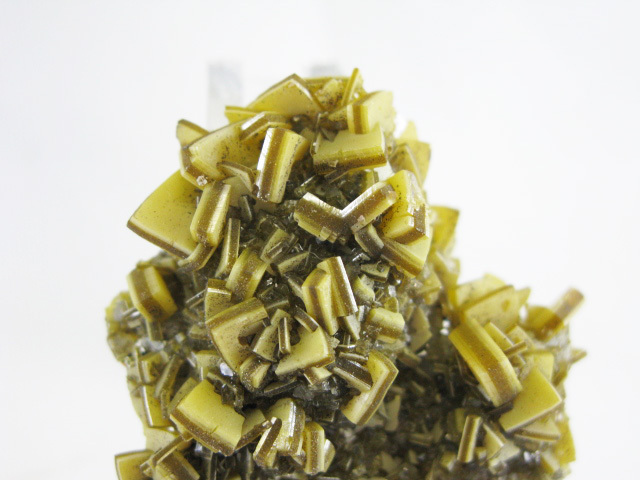 Part of the matrix is hollow. 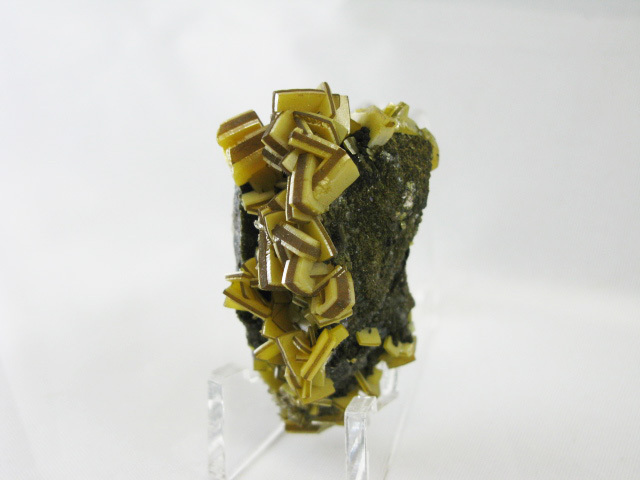 A nice example of wulfenite on a limonite matrix from the 2017 find at Mina Ojuela. 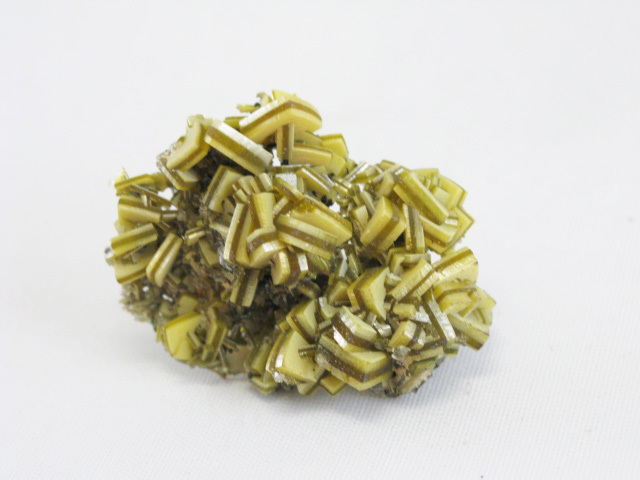 The banded appearance of the wulfenites almost makes them look a bit like the old Los Lamentos pieces, except these tend to be a bit sharper and a bit more densely packed. 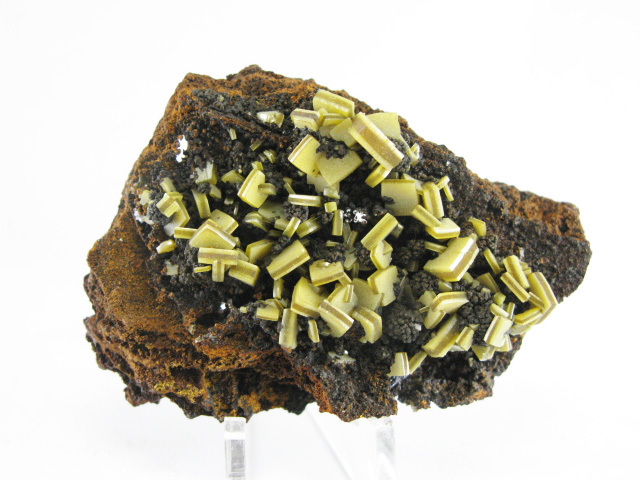 A nice example of wulfenite on a limonite matrix from the 2017 find at Mina Ojuela. 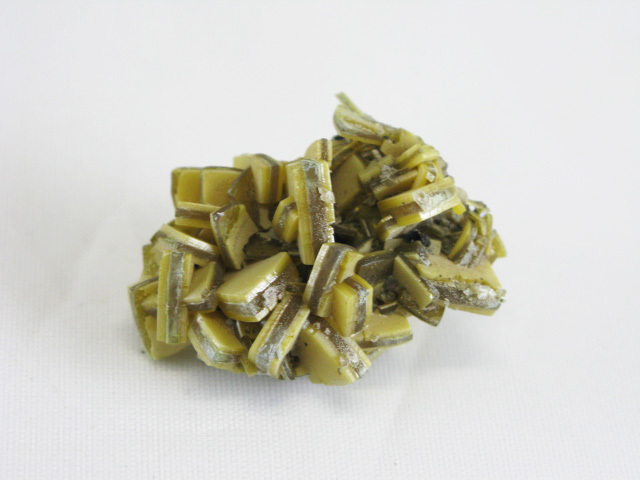 The banded appearance of the wulfenites almost makes them look a bit like the old Los Lamentos pieces, except these tend to be a bit sharper and a bit more densely packed giving them their very unique appearance. 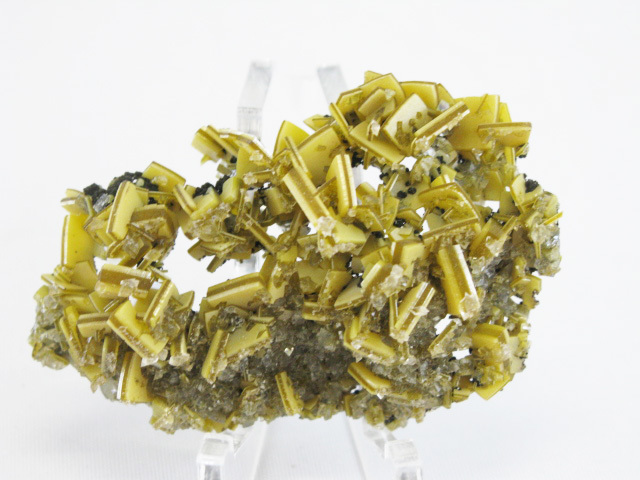 A nice example of wulfenite from the 2017 find at Mina Ojuela. 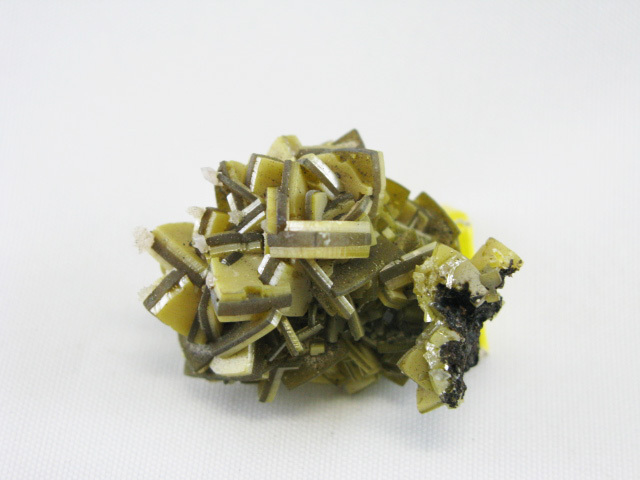 The banded appearance of the wulfenites almost makes them look a bit like the old Los Lamentos pieces, except these tend to be a bit sharper and a bit more densely packed giving them their very unique appearance. 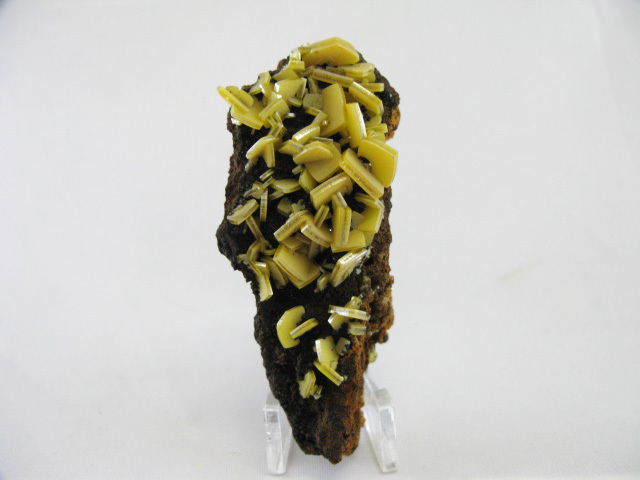 A nice example of wulfenite on a limonite matrix from the 2017 find at Mina Ojuela. 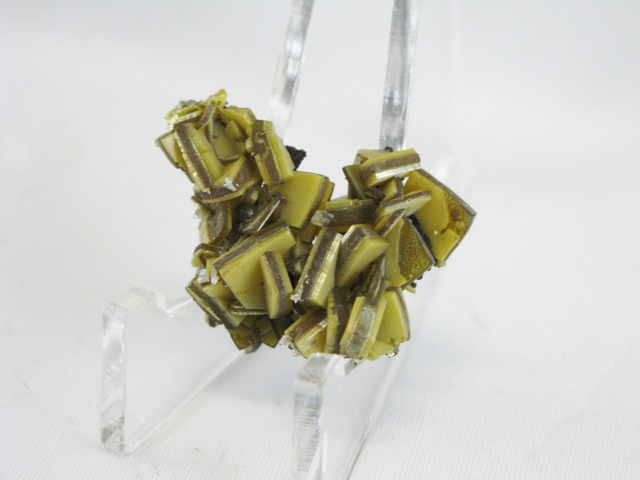 The banded appearance of the wulfenites almost makes them look a bit like the old Los Lamentos pieces, except these tend to be a bit sharper and a bit more densely packed giving them their very unique appearance. 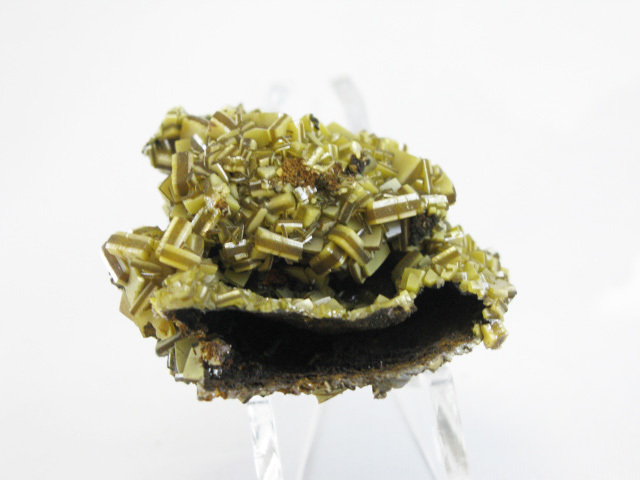 There's a bit of damage, but the piece is exactly as shown. 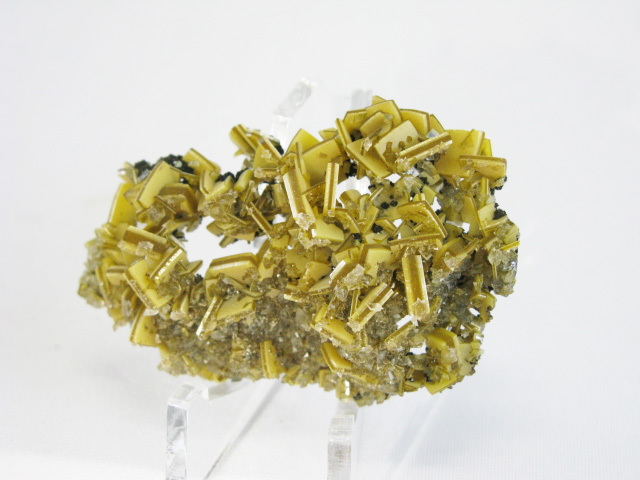 A nice example of wulfenite on a limonite matrix from the 2017 find at Mina Ojuela. 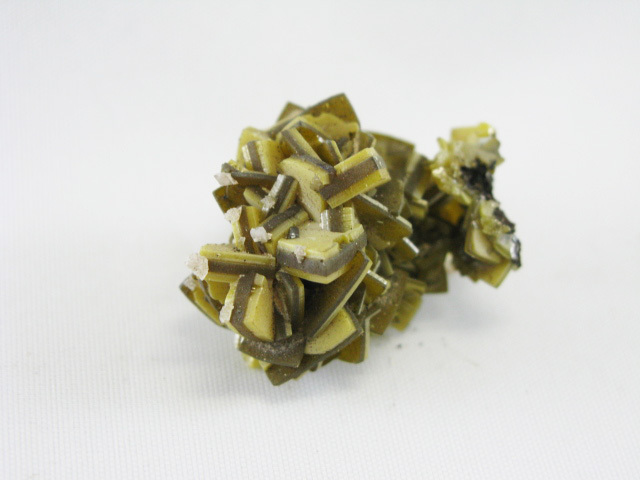 The banded appearance of the wulfenites almost makes them look a bit like the old Los Lamentos pieces, except these tend to be a bit sharper and a bit more densely packed giving them their very unique appearance. 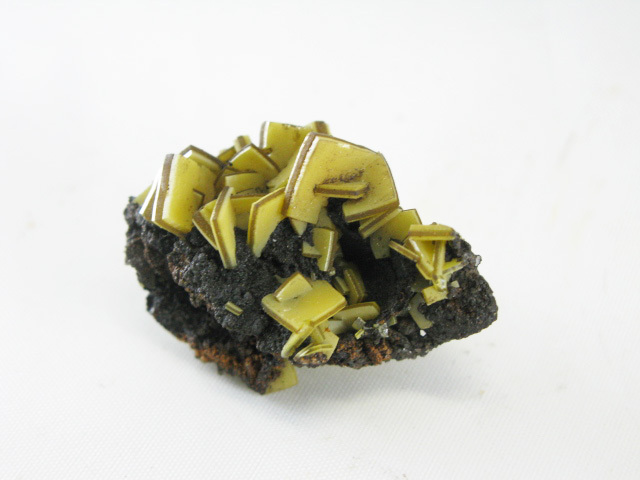 The color on this one is a bit darker. 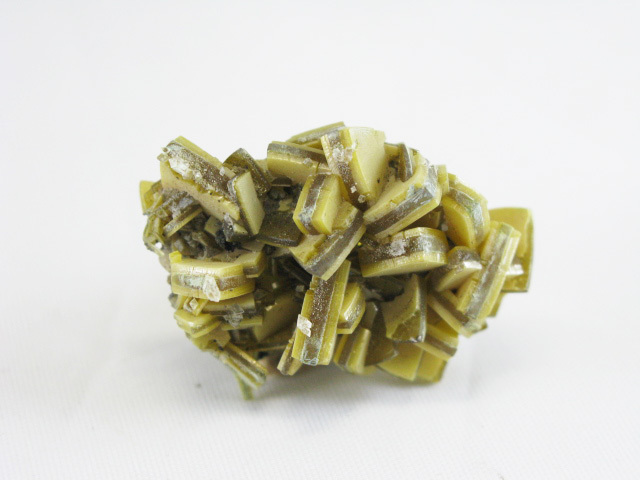 A nice reference sample from the 2017 wulfenite find at Mina Ojuela. 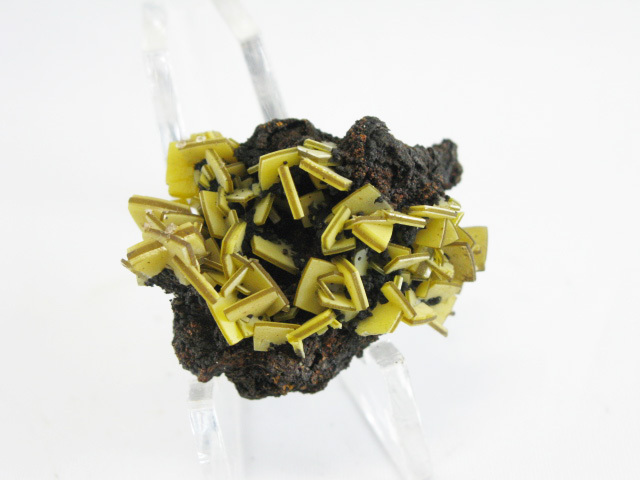 A nice example of wulfenite from the 2017 find at Mina Ojuela. 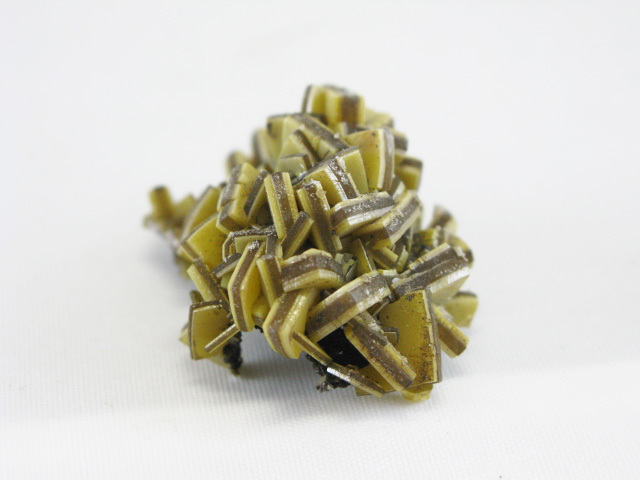 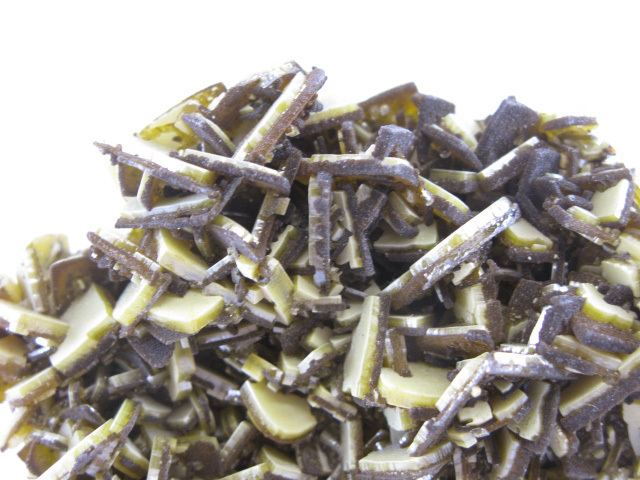 The banded appearance of the wulfenites almost makes them look a bit like the old Los Lamentos pieces, except these tend to be a bit sharper and a bit more densely packed, giving them their very unique appearance.